The Normalization Committee has cancelled its proposed Special competition after accusing Premier League clubs of sabotaging the process. It claims that the 16 clubs in the top division threw spokes into their wheels which made it impossible for them to get the competition underway. Despite securing a US$ 1.2m sponsorship from government, the Normalisation Committee will advice government on other alternative use of the funds. 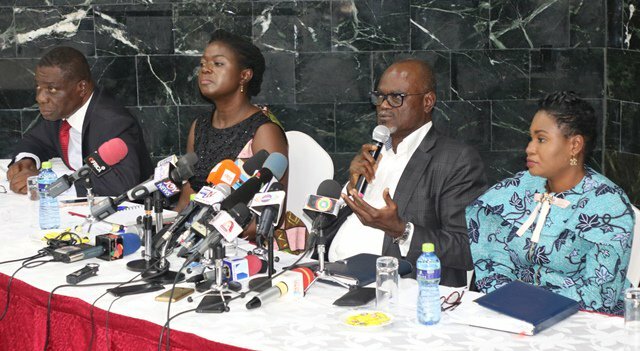 A statement released on Monday read: ''The Normalization Committee took time to meet the football community to help understand the challenges and problems facing Ghana football. ''Clubs and players appealed to the N.C to do something and start football playing again. ''The clubs said they were haemorrhaging with debt and their players were getting rusty. ''The N.C heard their appeal and put together a tournament that was designed to make the game beautiful and encourage fans to go to venue centres and also watch on television. ''There were arrangements to pay better fees to referees, budget for media hype to generate interest and a core of young volunteers to help generate interest in young people in football. ''Additionally, plans had been put in place to telecast the matches to bring football to the doorstep of the people. ''Unfortunately, because of the bad image no company was willing to align its brand with Ghana football hence no sponsorship was secured. ''We then had to appeal to government to come to the rescue of the sad situation of Ghana football. ''The government heard our plea and advanced 1.2m dollars not just to restart football but to train referees and also look at women football and colts football. ''When we got the money the premier league clubs opposed the format of the competition; we bent to accommodate some of their concerns to come up with the final tournament structure that everybody agreed. ''Anytime the game was about starting there was a hiccup from the premier league clubs and the tournament never started. ''The N.C has come to a point where the truth must be told and the right things be done to save Ghana football which is a great asset for the people of Ghana even though it has private sector coloration. ''We hereby cancel the proposed N.C tournament. We will engage the interest of government as to the other alternative uses to the funds advanced the Normalization Committee. ''We sincerely apologize to the Division One league clubs who overwhelmingly subscribed to participate in the N.C Special competition. ''We will come up with a new programme to keep them engaged whilst we reform Ghana football.